I think they're feeling cold. 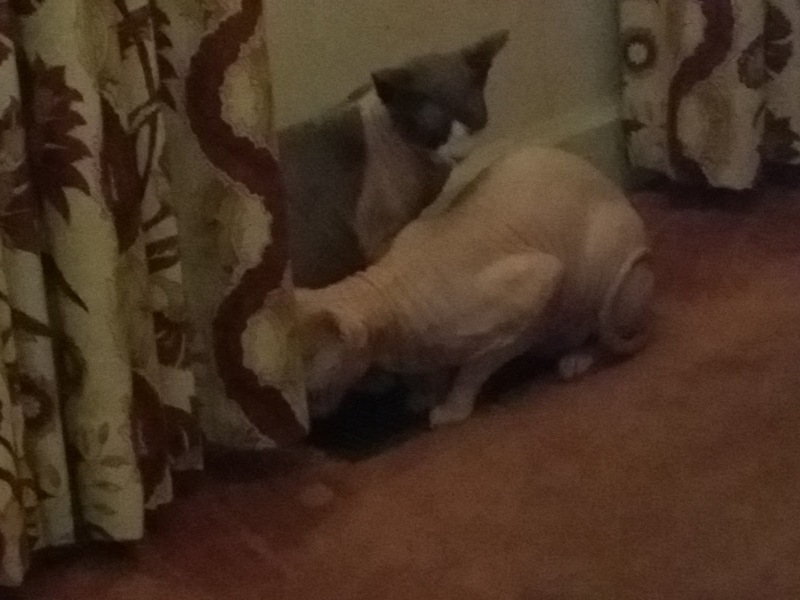 The naked kidz have been hovering around heating vents lately. That is not too unusual for a hairless cat. When they come downstairs to eat in the morning, they ran from the bedroom vent, down to the kitchen vent until food is in the bowl. 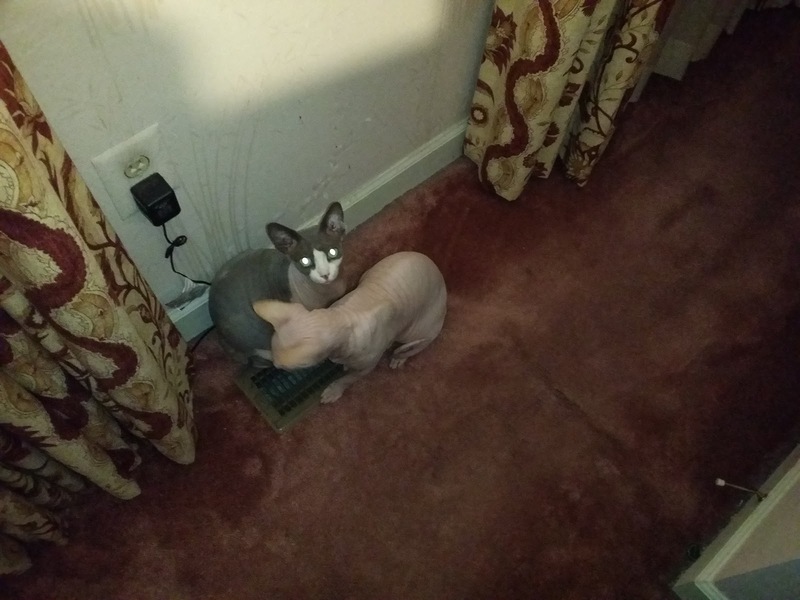 When finished, they ran back to the bedroom vent. 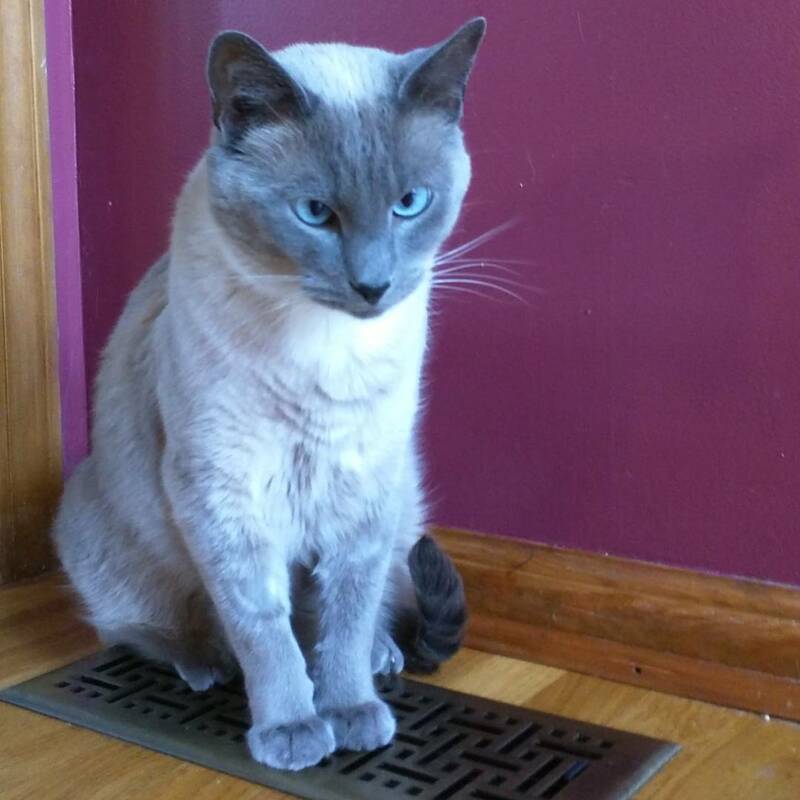 Even Maxwell and the kitties of A Tonk's Tail have been "venting" lately. 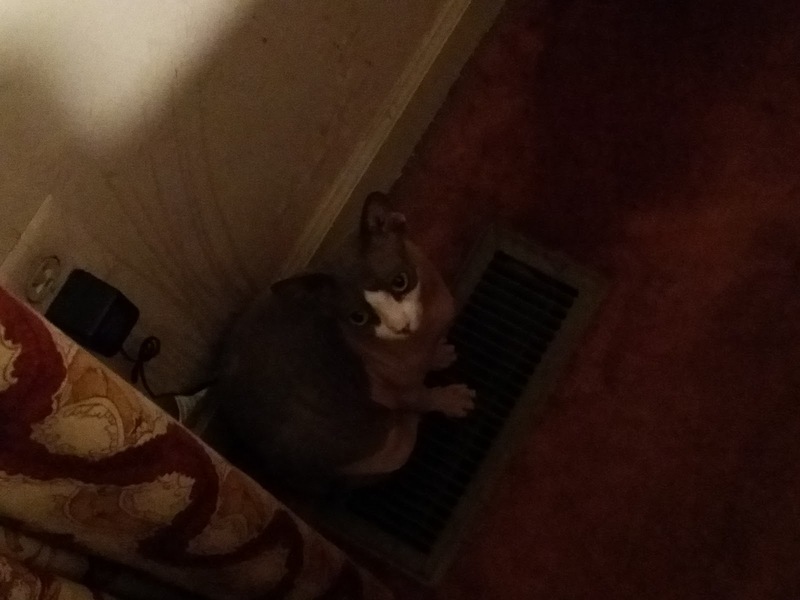 Maybe I should turn up the heat.